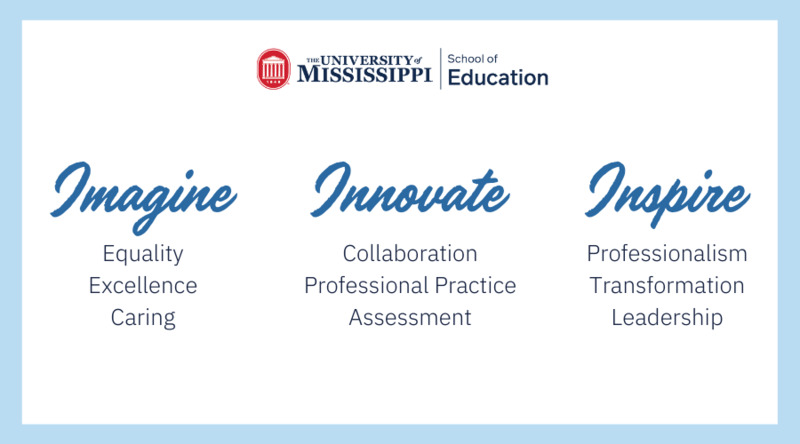 The School of Education prepares its students at both the undergraduate and graduate levels to be an inspiration to their students, effective and professional educators and administrators, and to be advocates for diverse learners. The School of Education enrolls more than 1,105 students in undergraduate, Master's, Ed.D., and Ph.D. programs each year. Our faculty make the difference. The outstanding world-class faculty are dedicated to student achievement and success. Their research, teaching, service, and commitment to the educational experience of the students in the School of Education are second to none.